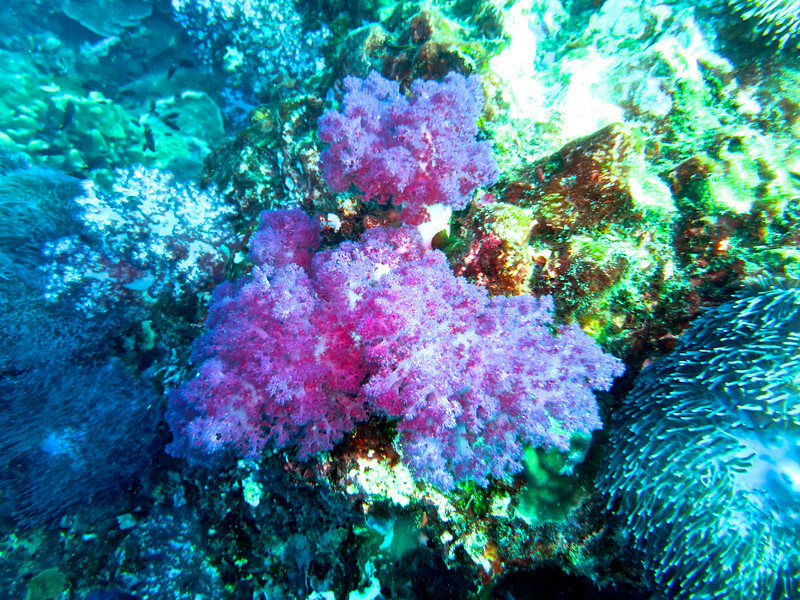 The Similan Islands National Marine Park is routinely included in National Geographic’s and various SCUBA magazine lists of the world’s top ten dive sites. 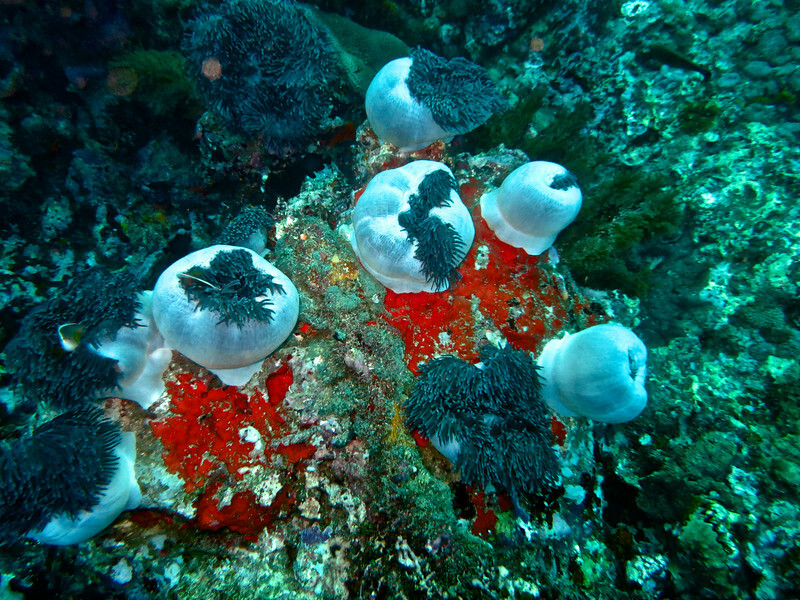 Richelieu Rock in Mu Ko Surin National Park was recently rated the number four dive site in the world. Both groups of islands are located about 70 kilometers off the northern coast of Thailand in the Andaman Sea. 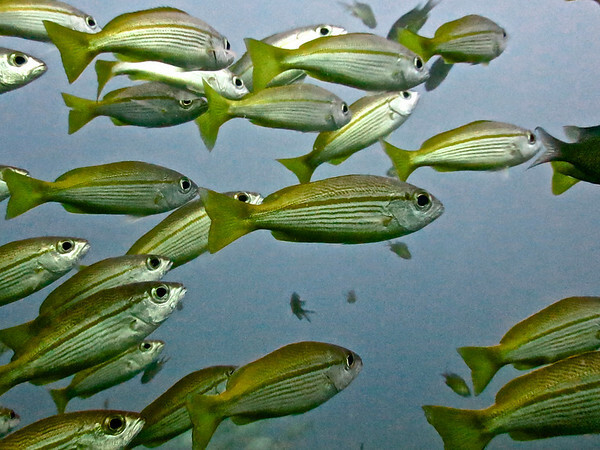 Because of their distance from the mainland, these islands are best experienced by a few live aboard dive boats. 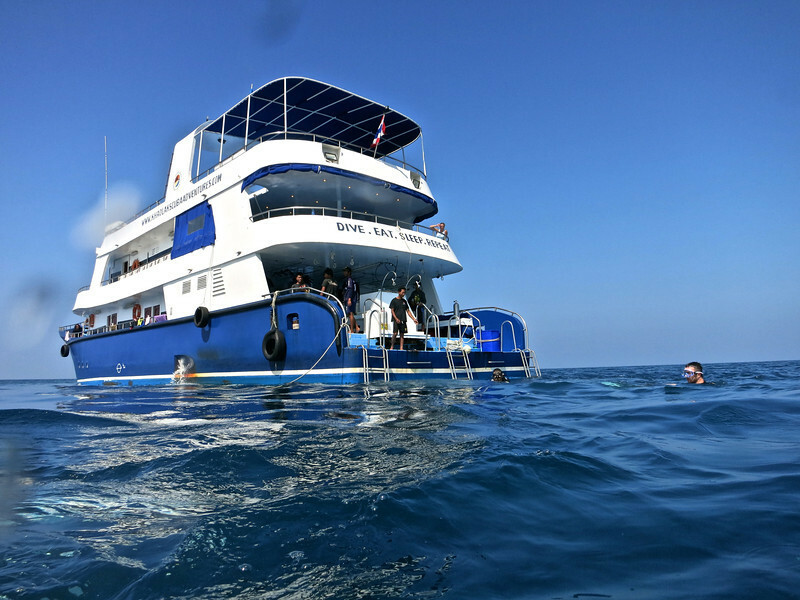 Recently, I participated in such a trip with the well run Khao Lak Scuba Adventures. 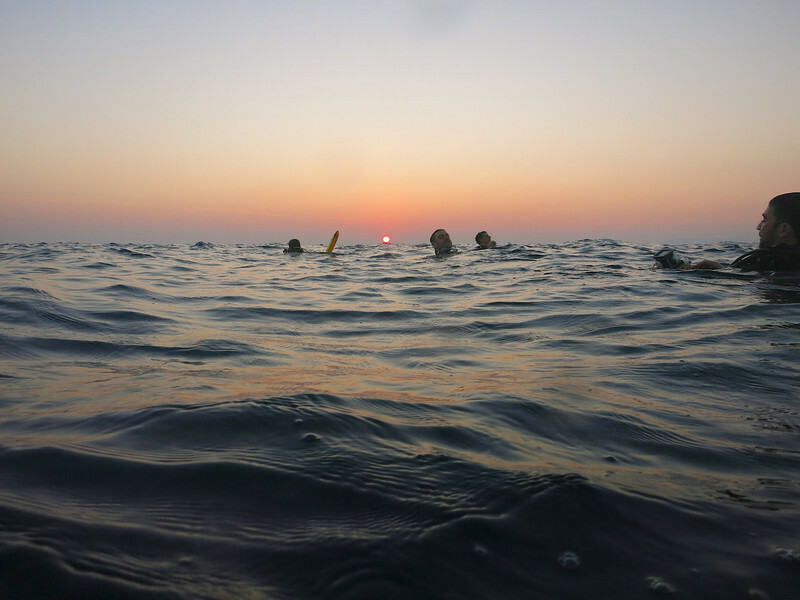 We departed Khao Lak about 10 pm and awoke the following morning in the Similans. 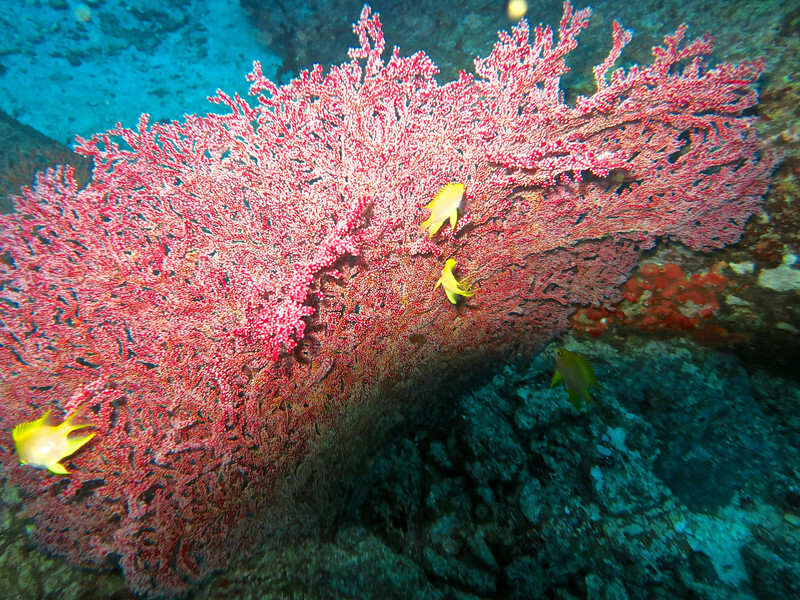 Over four days we participated in 14 dives in mostly clear pristine reefs and waters. 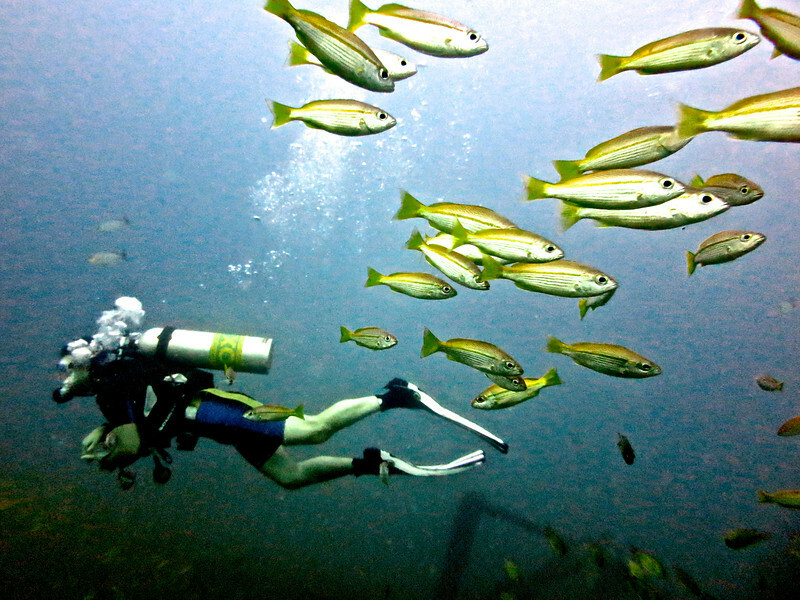 Included were a sunset dive, a night dive with a school of massive barracuda and two wreck dives. KSA’s motto is “Dive, Eat, Sleep, Repeat,” and we did plenty of all the above. The food was excellent and plentiful; we burned a lot of calories. I went for an upgraded cabin (shared with Andrew, a fun Scottish fellow) with private bathroom. Even with around 30 divers on the boat we only had four divers per leader and all leaders were Master Instructor level or higher. 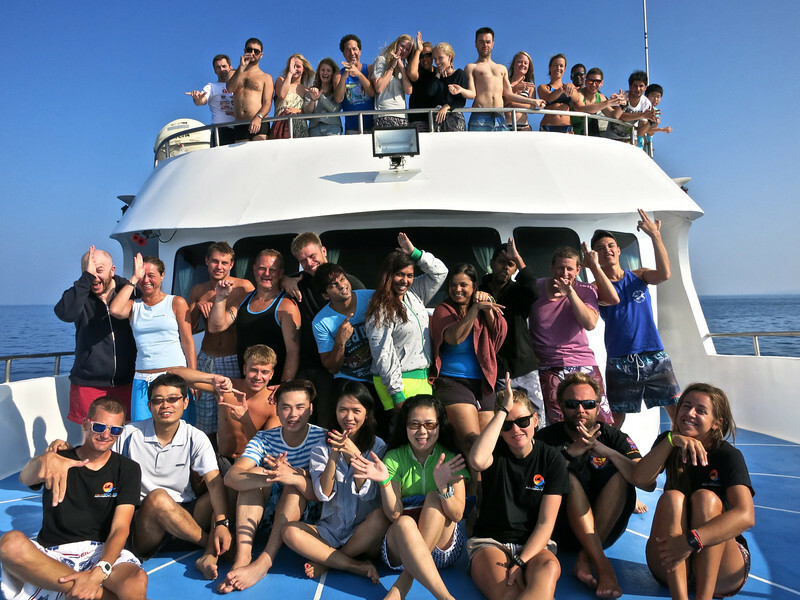 The Thai boat crew was the best ever, strapping on our fins and practically lifting us out of the water after each dive. We were spoiled rotten and it was obvious that they really cared and enjoyed their work. Four days went by very fast. But this is one I could easily do again…and again. 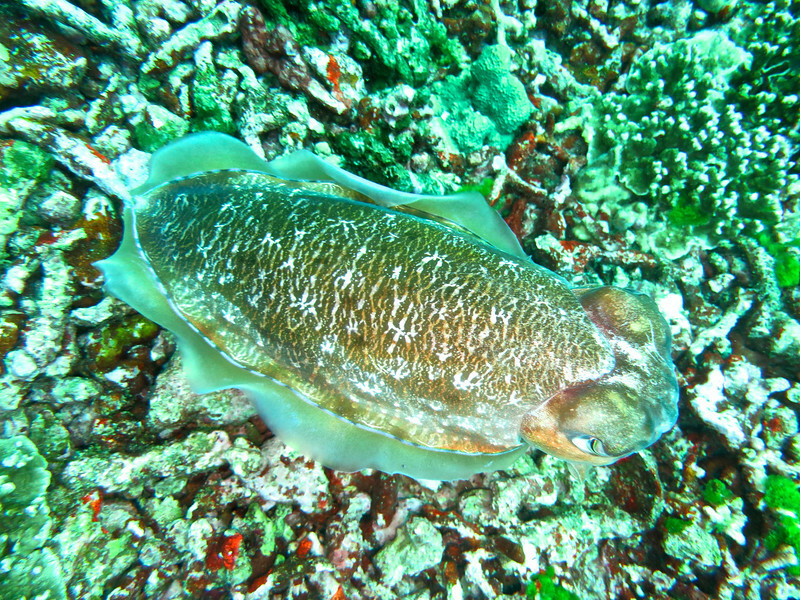 The Similan and Surin Islands can only be visited from October 15, through May 15, each year. As always these adventures of yours are so much fun to see and feel. 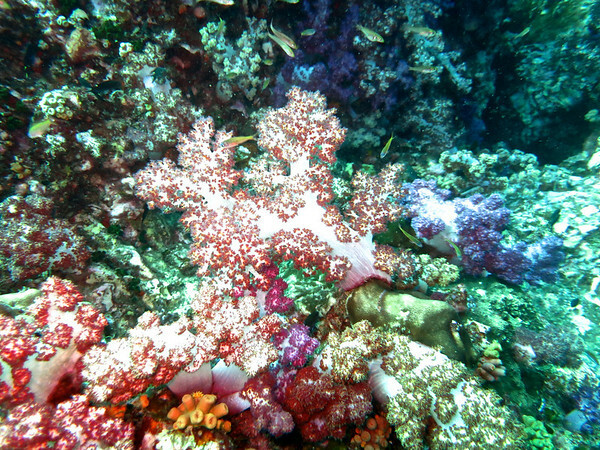 The ocean is so nurturing, it makes me remember snorkeling in warm beautiful waters, you never want to go home. The boat full of people (youngsters) looked like a blast, full of life force. And I like the “Dive, Eat, Sleep, Repeat,” – party on. Thanks Frank. Snorkeling is great fun here too; and the waters are so warm. Recently took Anna for her first time ever snorkeling and it was so joyful to see and participate in her discovery. Lovely photos Philip! 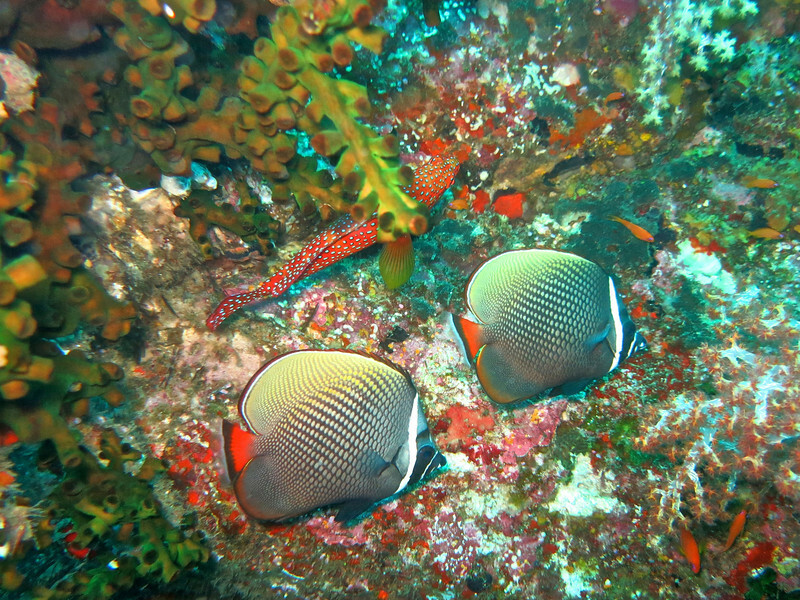 Tom and I loved the bit of diving we did in Thailand and can’t wait to do more. Me too. 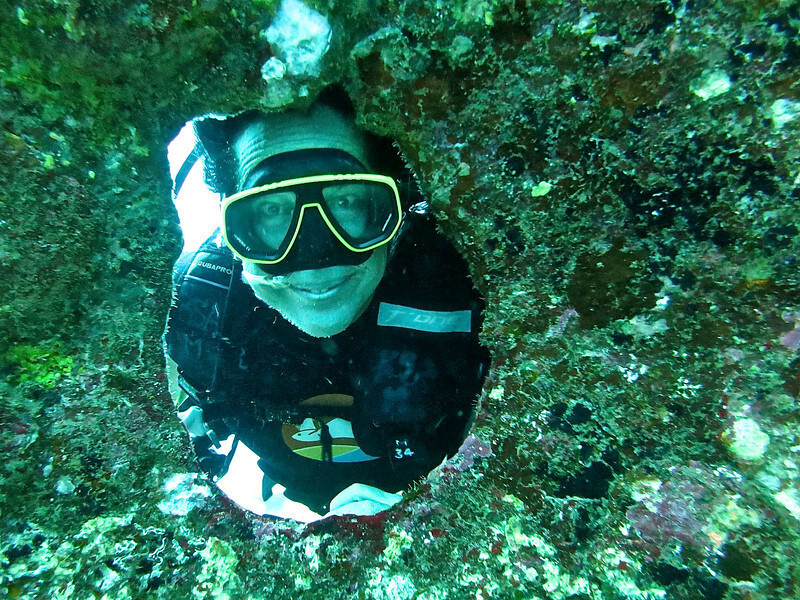 I recently did my 40th dive, all in Thailand. 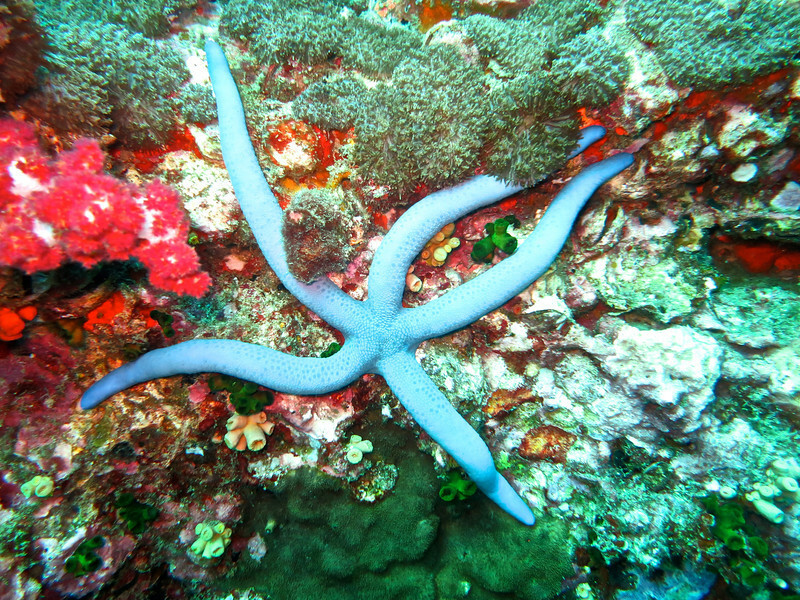 I need to see if there are any good dive sites in Cambodia or Vietnam as we will be headed there soon. Amazing photos Phil!!! They just keep getting better and better! Thanks for the vote of confidence Mindy. I loved this place. Great photo documentary again Philip, some of the highlights for me are, if I wanted to experience what you just did, how would I? and You have done everything except book peoples trips for them so they can get the same level of service you received. Thanks Scott. 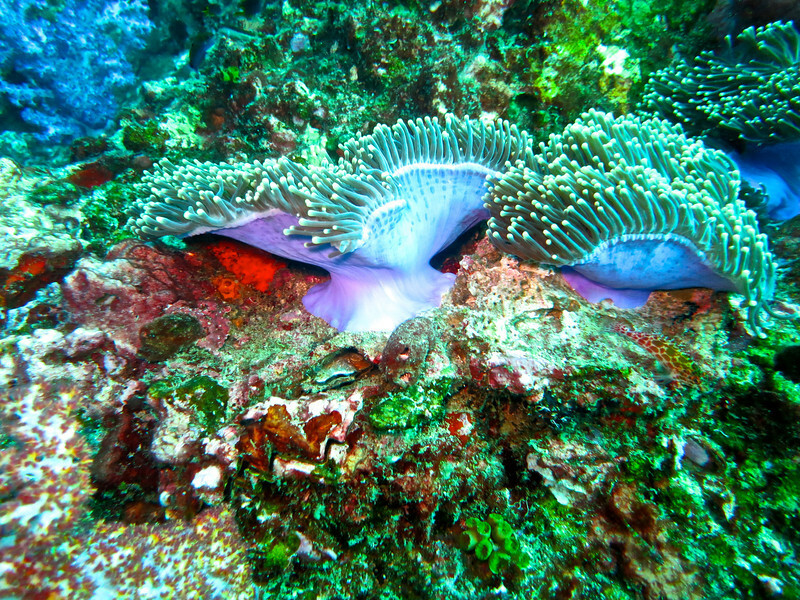 I used a Cannon G series with an underwater housing which I rented from one of the instructors for the duration. I did take my GoPro down on one dive but other than the sunset from the water surface, I found again unsatisfactory underwater results with the GP even with a red filter. The above the waterline gallery was shot with my trusty E3 which despite its weight is still my go-to travel camera. Eventually, I will have to purchase a dive camera as the rentals start to add up. (I finally bought my own mask, ha ha.) It is highly likely that I will go with a Canon D series at the point but I want to try a few more first. Have you tried the Olympus Tough series? Of course most are only rated 10 or 30 feet, I wasn’t sure if you could get a decent camera these days that didn’t require a housing costing nearly the same price as the camera. Good question Scott. I actually have taken a look at the E3 housing before. I am reluctant to take my best camera down to 30 meters (100 feet) though, and I would need to get a good external strobe to really get the shots down there. Lots of money and risk. No, I have been having pretty good luck with the Cannon rentals in their little housings and even if I destroy one in the process, I won’t have taken out a second mortgage on the house that doesn’t exist. Sounds like rentals are the safe way to go. What 4 days of rental cost on one US? So about 100 diving days is a $2,000 system. I’m thinking one of these places you do so much advertising for, should get you into a model they’re upgrading, on the cheap. Some of the cameras are 10 meter cameras and others 30 meter cameras, due to needing flash to deal with low light? Awesome as always! Love the photos and being able to share in your rich experiences! Thanks Judie. Glad you enjoyed the post. Me too Stephanie. How’s life in Columbus? Any new travel plans?